When we first met Leia Organa, we didn't know she was a Skywalker, and neither did she. While Luke was empowered by his lineage and Force sensitivity, it was Leia's political savvy, remarkable resilience, and no-nonsense courage that made her a hero. 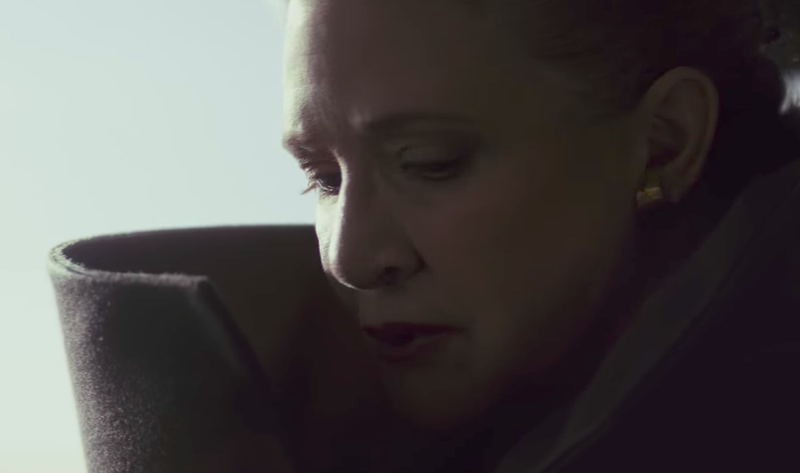 We've known for a while that The Last Jedi would be Leia's last full appearance due to Carrie Fisher's death. Not only does she have a strong presence throughout the movie, but she also demonstrates a potency in the Force never before seen from the Princess of Alderaan. We're taking a look back at Leia Organa's history with the Force, as well as how it might have influenced her future. The first hint of Leia's greater power came in The Empire Strikes Back. The ghost of Ben Kenobi told Yoda that Luke was their last hope, but the old green Jedi wasn't so sure: "No, there is another." The end of the movie offered a big clue to this person's identity when Leia heard Luke's cry for help and turned the Falcon around to save him on Cloud City, demonstrating some kind of Force sensitivity. In Return of the Jedi, Leia learned the full truth when she denied that she could ever take Luke's place as the galaxy's only hope. "You're wrong, Leia. You have that power too. In time, you'll learn to use it as I have," he told her. He then revealed to her that she was his sister and therefore a member of the galaxy's most Force-strong family. There's always the argument that Leia's Force sensitivity has always been secretly displayed in talents such as her accuracy with a blaster and diplomatic expertise. But it feels insulting to say that these skills stem from a mystical power inside of her. Maybe she's just tough and smart because her adoptive parents (Bail and Breha Organa) raised her that way, and because her biological mother (Padmé) shared the same traits. If there was any doubt as to whether Leia had the same Jedi potential as Luke, the From A Certain Point of View story "There Is Another" puts it to rest. As it turns out, when Kenobi's ghost first suggested that Yoda train a new Skywalker, Yoda assumed he meant Leia – he thought she obviously had the better temperament for a Jedi – and needed some serious convincing before agreeing to train Luke. 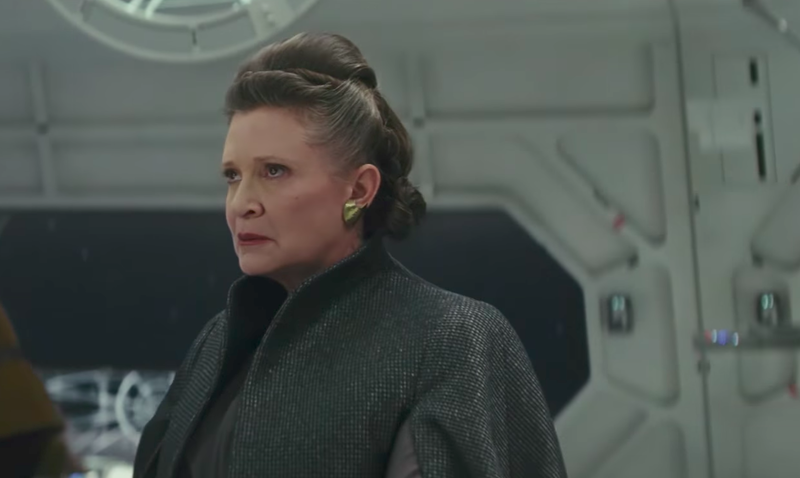 In the buildup to The Force Awakens, there was the lingering question of how Leia's Force powers evolved in the 30 years since she had appeared last. Had she learned how to use a lightsaber? Had she practiced Force maneuvers with Luke? Or even better, had she become a full-fledged Jedi Master alongside her brother? As it turned out, Leia had stuck to politics after learning the truth about her family. 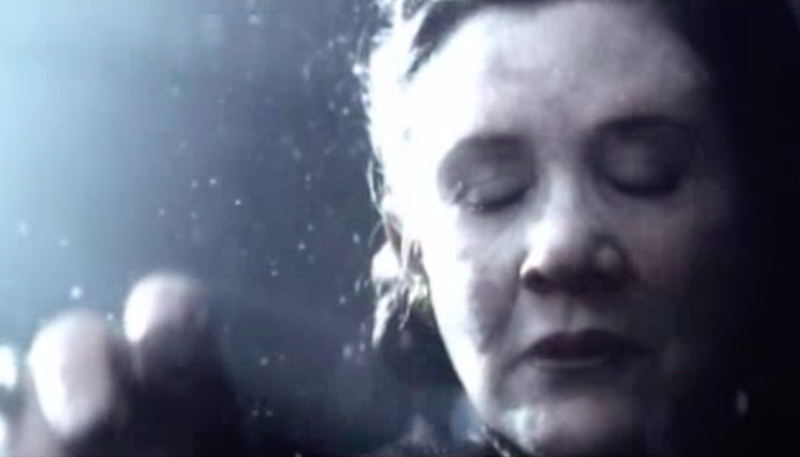 In The Force Awakens, the only confirmation that she retained her Force sensitivity was directly after Han Solo's death, when we saw Leia collapse in the Resistance command center from her grief. It appeared that her Force powers were still limited to the basic ability to sense the distress of those closest to her. And while it would have been nice to see her knock out stormtroopers with badass Force pushes, Leia's evolution from princess to commanding general left little to be desired in terms of the empowerment of her character. While her brother was training new Jedi and moping on Ahch-To, Leia was fighting in the halls of the Senate and building the Resistance. She was already a respected leader and a capable fighter; she didn't need the Force in the way that Luke did. But in The Last Jedi, Leia's strength in the Force is never clearer. She detects Kylo's presence when close to his starfighter, connects with Luke through the Force while in a coma, and senses her brother's passing at the end of the movie. And in one of the film's (several) genuinely shocking scenes, she revives herself in the freezing, airless vacuum of space, reaches out her hand, and flies back to the airlock of the Raddus using the Force. Leia lacks his years of training, of course, but when thrown into this kind of danger, it makes sense for an instinctive fight-or-flight response to take over and intensify her natural ability. If 19-year-old Leia had been tossed into space, she probably would have discovered her Force power a lot sooner. Writer/director Rian Johnson equated it to the real-world phenomenon of parents lifting cars to save their children. Leia and the Force in Episode IX? It's possible that Rian Johnson and the rest of the Last Jedi filmmakers just wanted to give Leia a cool Force scene so that she could have some breathtaking physical action in the film (opposed to her many dialogue-heavy scenes) and finally justify Yoda's faith in her. But maybe that scene was actually supposed to let Leia realize the full extent of her raw Force power so that she could actively use it to fight the First Order in Episode IX. 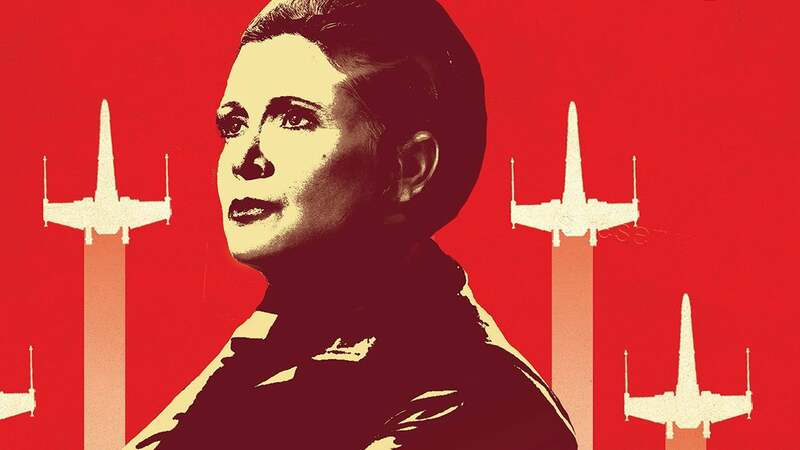 We had heard that Leia was intended to be the star of Episode IX, and the end of The Last Jedi certainly sets that up: Leia is surrounded by friends on the Millennium Falcon, ready to find a new home for the Resistance, with Luke and Han no longer around to steal her thunder. But Carrie Fisher's death means that Leia's role in the Sequel Trilogy finale will be minimal at most. There are many ways this scene could have gone – Kylo stabbing her in the same way he did Han, Leia sacrificing herself to end her son and dying by his side – but the most exciting possibility is if Leia attacked Kylo with the Force. What if she telekinetically choked him, using her father's signature move to put an end to her fallen son? Regardless of whether it succeeded in killing him, this heartbreaking scene would have brought Leia's character full circle. In one move, she would be fulfilling her potential as a Skywalker, accepting the part of Vader that will always be in her, and taking responsibility for the mistakes she made in raising her son. Above all, it would let Leia exit the Star Wars universe in a badass blaze of glory and solidify her as the MVP of the Skywalker family. Of course, the more likely scenario is that Episode IX's climactic showdown was always meant to be between Rey and Kylo, with Leia and Kylo's reunion a smaller (though still important) plot point. And even if Leia's Force choke scene was planned, it would almost be better if we never learned of it, as it would just make her absence from Episode IX even more tragic. The Force has always been in Leia to some extent, and it could have been a huge part of her future. But at the end of the day, it doesn't define her in the way that it did Luke, and it's not why we fell in love with her in the first place. 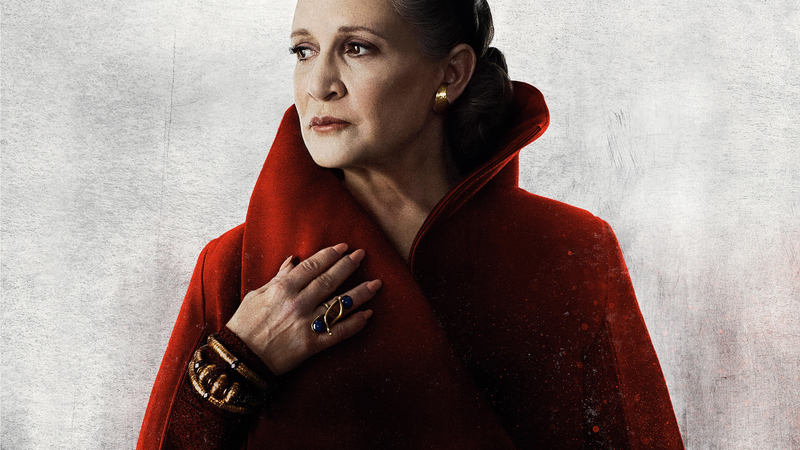 The greatest forces inside her are resilience and selflessness, compassion and tenacity, and those are what make her a symbol of hope and rebellion throughout the Star Wars galaxy and our own world. Would you have liked to see Leia use the Force more? 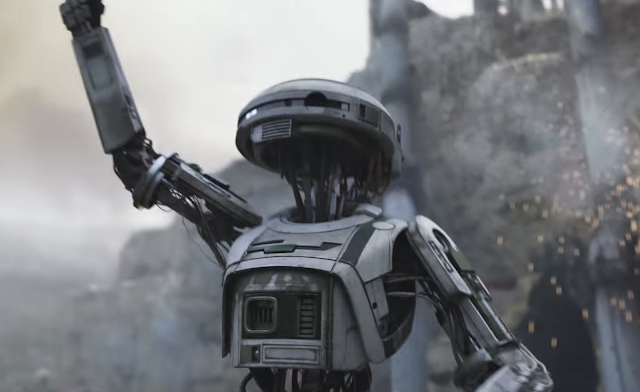 Do you think she could have fought her son with it in Episode IX? Tell me in the comments or tweet to @SithObserver, and may the Force be with you all. Giving yourself standard measurements of profound movement, or even better, going on an otherworldly withdraw will do ponders for your profound relationship. Rather pick a unit that has a carbon based channel for the gases, synthetic compounds and scents, just as one that has numerous channel for particles,Kerry Washington Skin Care for example, hair, and particles that go airborne amid nail trims and pedicures.